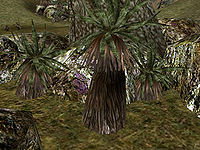 Hackle-lo is a succulent leaf of the Grazelands, prized both for its taste and its roborative powers. 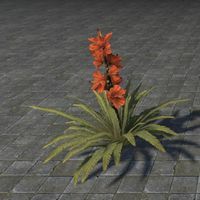 A wall clinging plant found growing abundantly all across Skyrim. 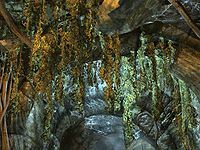 Harrada Root is a plant native to the Deadlands, where it grows both outdoors and in caves. 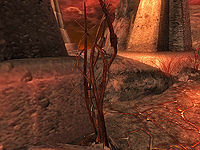 It will swipe its spiky roots as a defense mechanism. 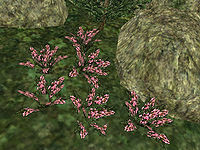 Heather is a common low evergreen shrub of the Ascadian Isles, known for its small, pinkish-purple flowers. 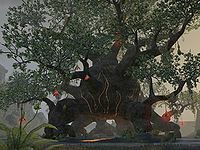 The Hist are a species of giant spore trees growing in the innermost swamps of Black Marsh. 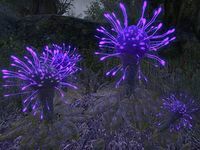 Hist Bulbs are a species of plants native to Murkmire and possibly other parts of Black Marsh. They have a bioluminescence and produce a natural insect salve when threatened. It is unknown if they are related to the Hist. 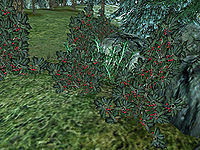 Holly Bush is very common shrub that grows alongside bushes all across Solstheim. 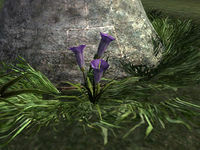 Horn Lilies are a purple flowering plant, domesticated by citizens of Mournhold. 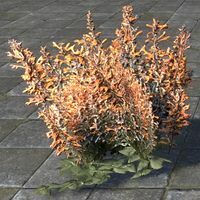 These orange flowering plants make lovely garden flowers, and are cultivated in many parts of Tamriel. 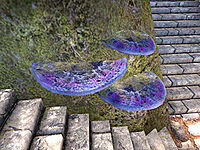 Hydnum Azure are a bluish purple, spore producing shelf mushroom found growing in the Mania region of the Shivering Isles. 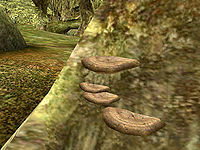 Hypha Facia is a light brown shelf fungus collected from the trunks of trees in the Bitter Coast Region. This page was last modified on 26 January 2019, at 12:29.